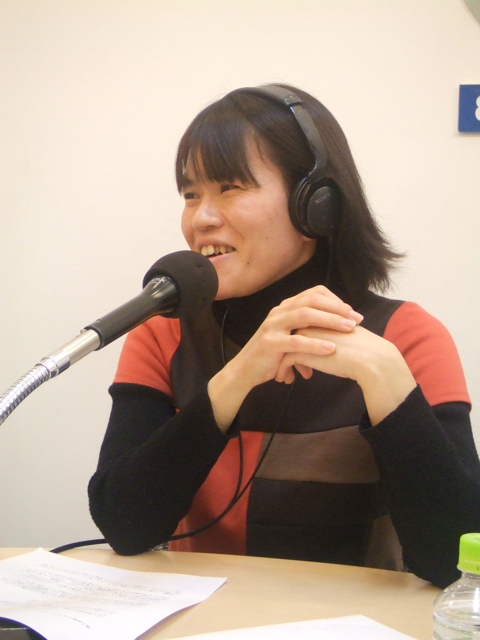 This year’s last guest of My Eyes Tokyo is Tomoe Ono, a representative of ASIA Link! 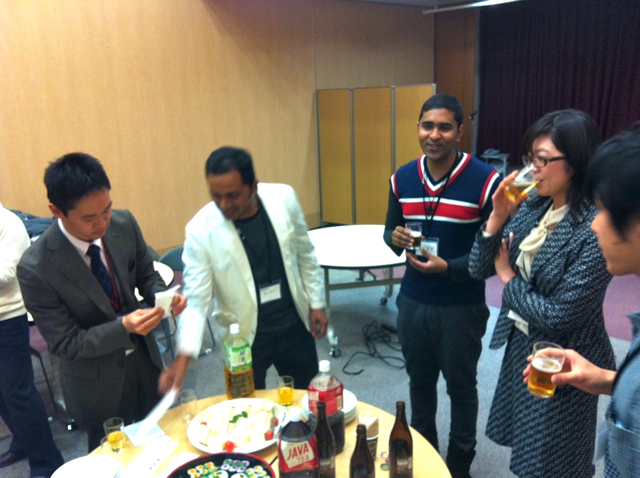 ASIA Link works as a “bridge” between foreign students and small businesses in Japan. 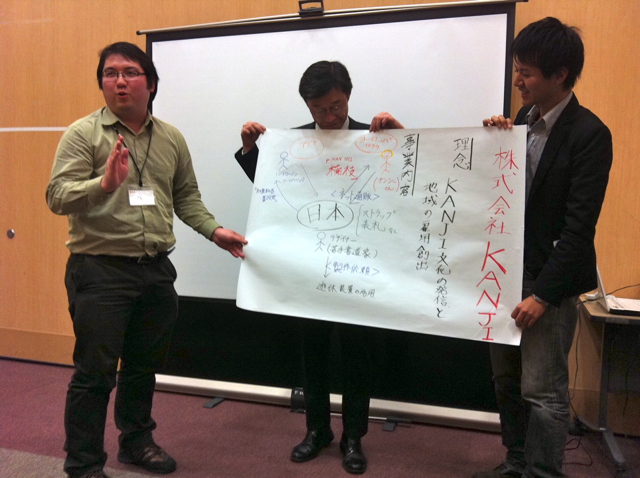 We also want to be a bridge between foreigners and Japanese, so we would like to learn from them. Ono started business in October 2011. It’s still like a tottering infant, but had an event called “ASIA Link Cafe” in November 2011, only a month after she established business. 10 company people and 10 foreign students (from China, S.Korea, Thailand and Sri Lanka) gathered at the venue in the suburb of Tokyo. They put themselves in the mind of entrepreneurs and had a lot of discussions in the workshop about the company which they wanted to work for. 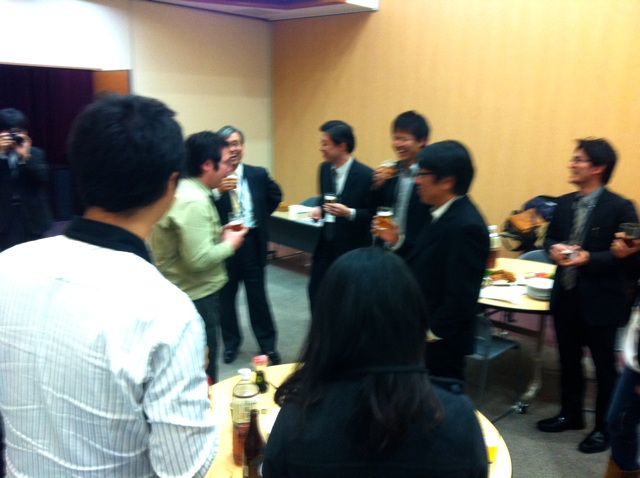 After their presentations, they had a get-together in a relaxed atmosphere. Students and company people talked with each other very closely. Maybe you wouldn’t see that closeness at usual employment-explanation meetings. ● There’s strong discrimination and prejudice against Asian students, compared to the one directed at Western students. They get questioned by the authorities because they draw suspicion as illegal residents. It’s difficult for them to rent apartments or work at fashionable shops. 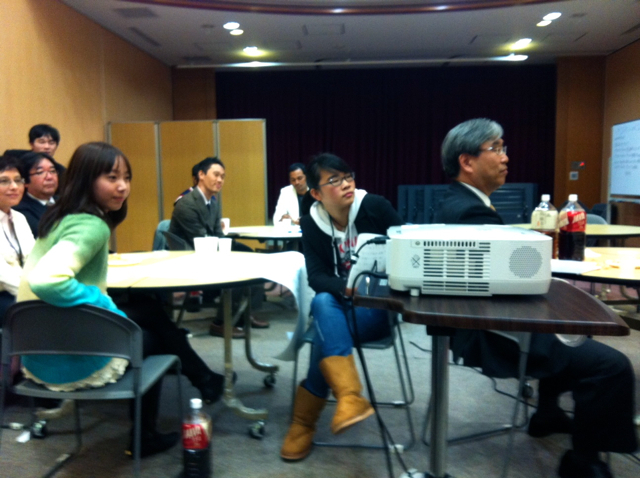 ● Students who come to Japan want to work at Japanese companies. But their job huntings go wrong because of lack of information. Unfortunately many foreign students left Japan. Ono couldn’t do anything for those issues because those were not her specialized fields at that time. When she felt irritated, she had a fourth baby. Even though it was hard for her to work outside the house, she wanted to continue to work. But she came up with an idea. “I’ll create jobs in my neighborhood and solve the societal challenges!” Then she decided to start business and support foreign students. She rewrote her business plan over and over again and took counsel from financial organizations. Then she devised the business matching between foreign students and small companies. Her idea fitted the environment surrounding them. ● Only 20% of foreign students can get jobs with companies in Japan. Because they tend to want to work at big corporations, they apply for fewer company entrance exams compared to Japanese students. Also companies are anxious about hiring foreigners. ● 99% of companies in Japan are small businesses that are not well-known among foreign students. And they feed their ways into overseas market. ● Companies’ targets are Asian countries which continue the growth of their markets. Ono wanted to support mainly students from Asia and companies that aim at Asian countries. That’s why she put “ASIA” on her company’s name. 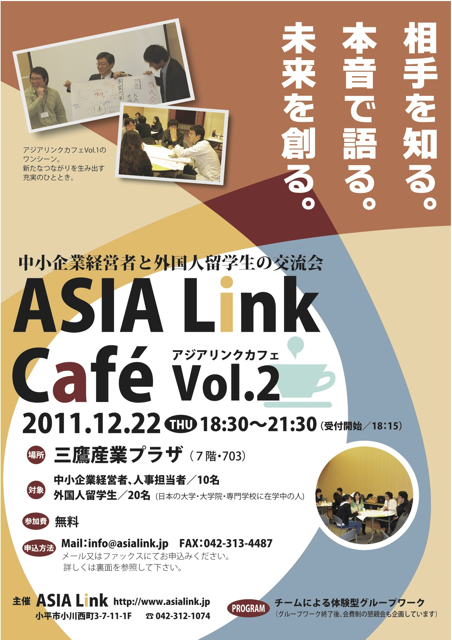 The 2nd session of her project “ASIA Link Cafe” will be held soon! Ono will tell you about her another activity, which is to support foreign mothers. Also she’ll share some romantic episodes that are perfect for the Christmas Eve. The next session will be the last one this year, so don’t miss it! !